Introduction: Preimplantation genetic diagnosis (PGD) of balanced translocations is usually performed using Fluorescence-in-Situ-Hybridization (FISH), and more rarely by Polymerase-Chain-Reaction (PCR). These methods assess only chromosomes involved in the translocation, as opposed to array comparative-genomic-hybridization (aCGH) which screens all chromosomes. Material and Methods: In this report, we compared the diagnosis and pregnancy rates for balanced translocations using all three techniques in a retrospective study of 75 PGD cycles. Results: Of 331 embryos analyzed by FISH, 225 (68%) were successfully diagnosed, 34 (15%) were transferable yielding a pregnancy rate of 13% per Ovum-Pick-Up (OPU). With PCR, 80 out of 124 embryos (65%) were diagnosed, 21 (26%) were transferable, and a pregnancy rate of 14.3% per OPU was achieved. 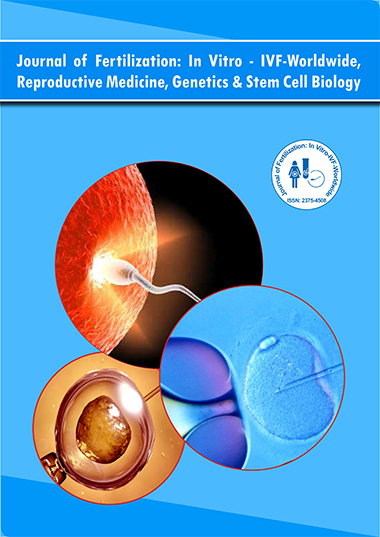 Using aCGH, 60 of 71 embryos (85%) were successfully diagnosed, 26 of which (43%) presented with chromosomal aneuploidies not associated with the parental translocation. Nine embryos diagnosed by aCGH were transferable yielding a pregnancy rate of 40% per OPU. The proportion of embryos successfully diagnosed and pregnancy rates per OPU were significantly higher using aCGH compared to FISH or PCR (p= 0.036; p=0.017), respectively. Conclusion: Altogether, these data indicate that the use of aCGH for chromosomal translocation PGD significantly increases diagnosis and pregnancy rates.